PLEASE NOTE: Visitors wishing to visit Foxley Wood during September and October, will need to access the reserve from the North via Themelthorpe, as the road through Foxley village is closed. 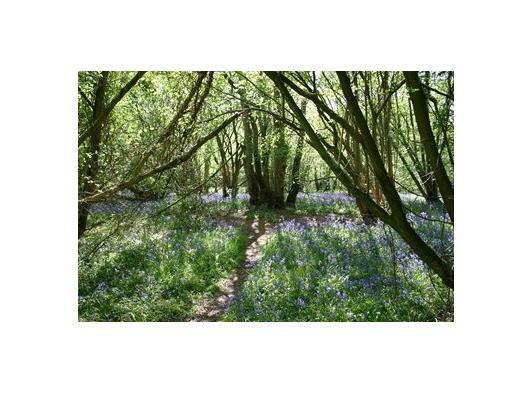 Foxley Wood is the largest area of ancient woodland now remaining in Norfolk. Its wide rides, originally created to allow the movement of felled timber, make wonderful paths far into the wood. The wood is exceptionally rich in flora, with over 250 different species recorded, including herb Paris, early purple orchid, lily of the valley and several uncommon trees. Since becoming an NWT nature reserve in 1989, management has concentrated on clearing the conifers and promoting the regeneration of hardwoods. Part of the North Norfolk Woods Living Landscape. bluebell, dog’s mercury, early purple orchid, herb Paris, lily of the valley, meadowsweet, water avens, fleabane, white admiral, purple hairstreak, meadow brown and ringlet butterflies, dark bush cricket, sparrowhawk, tawny owl, great spotted and green woodpeckers.